As if marrying Britain’s most eligible bachelor in a gorgeous wedding ceremony wasn’t exciting enough, Meghan Markle now has an official title, Duchess of Sussex, and her own bio on the royal family’s website. Markle is movin’ on up! 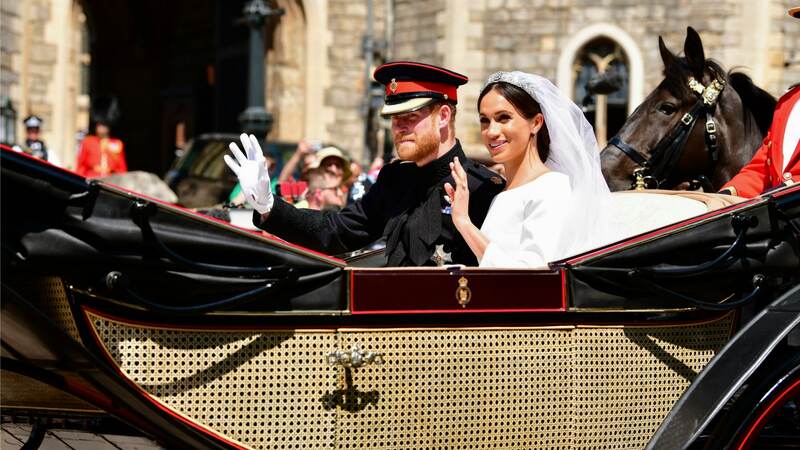 In case you somehow missed it, Markle and Prince Harry wed early Saturday at Windsor Castle’s St. George’s Chapel. Now that she’s officially part of the royal family, it’s only natural that the new duchess should get a proper page chronicling her life up to this point. Interestingly, the first part of Markle’s bio focuses largely on her charitable endeavors and social causes. The second paragraph relays her now-iconic campaign, begun at the tender age of 11, to petition Proctor & Gamble to stop using sexist language in its liquid soap ads. The bio also references Markle’s devotion to those less fortunate, explaining that she volunteered at a soup kitchen as a teen and would return to that soup kitchen to help out anytime she visited Los Angeles after moving away from the area. And while a reference is made to “filming,” you have to actually click on the Biography tab on the left side of Markle’s About the Duchess of Sussex page to read about her acting career. Refresher: Her career spanned roughly 15 years, seven of which were spent on the USA series Suits. However, it is nice to see how openly the royal family has embraced Markle’s progressive humanist values. The site doesn’t shy away from her feminism and even reinforces it by discussing her championing of women’s causes globally. Of course, Markle and her prince are off to a good start on the philanthropic front. In lieu of traditional wedding gifts, the kind-hearted couple asked anyone wishing to mark the occasion to donate to charity.